So, really, what do people say about our Piolet..
How nice for our travel-weary staff to return (or arrive Taipei) to Bikepacking.com's thoughtful and comprehensive review of the Piolet. While we certainly do test-ride our frames for months before bringing them to market, none of us has done as extensive a six-month test that Lee Vilensky completed before he wrote this up. "Classic. 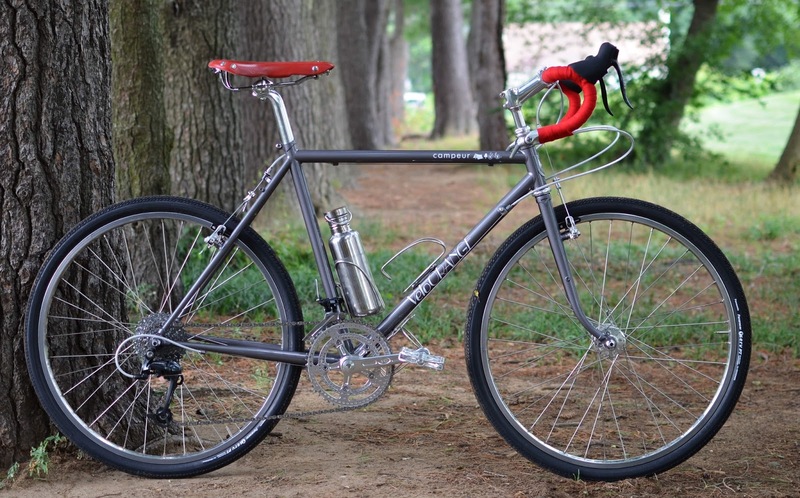 From the segmented fork, to the clean lines, to the solid cerulean paint with brushed metal headbadge, Velo Orange’s Piolet harkens back to a time in mountain biking that predates suspension and indexed shifting." "Sticking mainly to the mountains in the provinces of Boyaca and Santander, we pedalled mainly through dry, sweltering heat on dusty roads and trails. It was in this state – loaded with gear while covering large daily distances on poor surfaces – that the bike truly shined." "I was particularly impressed with how well the fork performed. I didn’t perceive any pulsing or juddering under hard braking, even during steep descents 20 kilometers long." 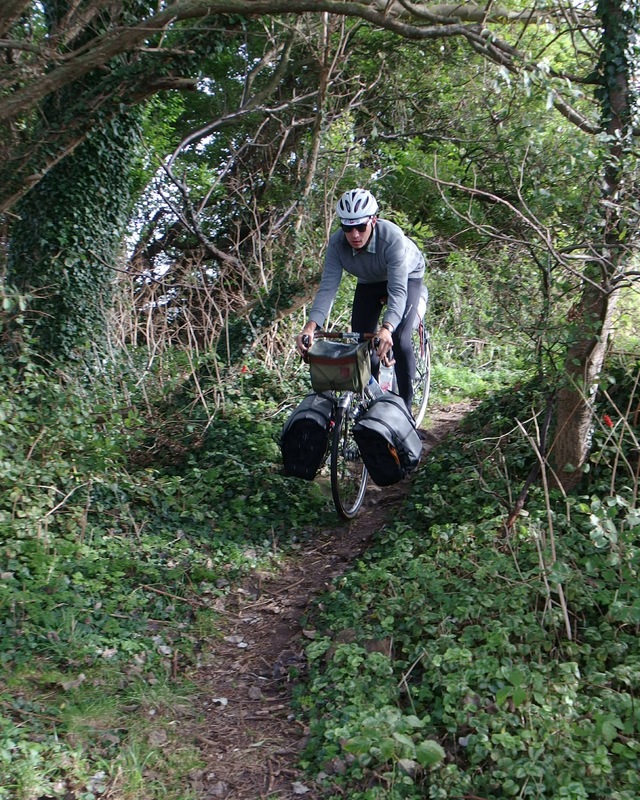 "Given the opportunity to do another round-the-world journey by bike, there is no question that this is the one I would take." Read the full review here. And yes, the re-stock of mid- to large-size Piolets are currently on the high seas and will arrive late March. Earlier this month I had the opportunity to spend the day with my state and local government, a plethora of bicycle advocacy groups, and a bunch a really great bike people at the annual Bike Maryland Bike Symposium (yes, it is supposed to say bike twice). 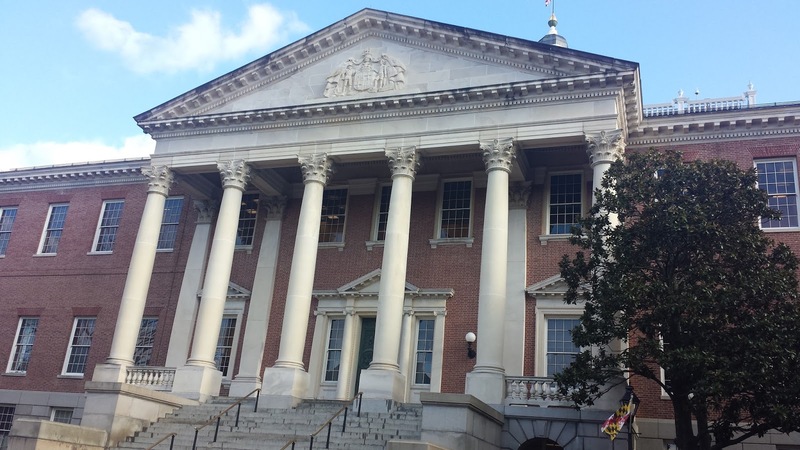 Held at the Maryland Senate Building in Downtown Annapolis, this day-long series of lectures and Q&As – and happy hour! 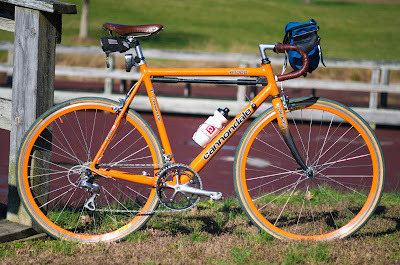 – left me comically inspired and excited about the current and future advancement of bicycling in the state of Maryland. I rolled out of there really feeling like we can do anything! In all seriousness, there were some really great topics covered, the foremost being the opening of the Hatem Bridge to cyclists starting July first. While they’re still trying to figure out just how to make the arrangement the safest possible (if anyone knows the bridge, it is extremely narrow) and are thinking about a light system that warns drivers when cyclists are on the bridge. I suppose something is better than nothing, and it is a very exciting opening because it means that cyclists can now bike across the state. You can read more about the opening here. Also, another big deal for Maryland, a bike share program is coming to Baltimore! Soon Baltimorians won’t have to look on to DC through green eyes! One of my favorite parts of the symposium was the talk held by Steve Carr from the Maryland DNR. In addition to promoting road cycling, he had a lot to say about expanding off-road riding. Maryland is also getting hip with technology, and he talked about using a GIS mapping system of on- and off-road bike routes, hosted through the DNR, that could be accessed on- or off-line through a GPS based navigational app. This would mean real-time “Google-like” navigation for all cyclists to utilize available routes and infrastructure. Of course, one of my favorite parts was the Baltimore Youth Cycling, who are perhaps too awesome and cute for words. On a related note, a lot was said for getting bikes into schools, and normalizing cycling through raising a generation of people that understand the importance of cycling, how to be safe (both as a cyclist and driver), and how cycling is reasonable option for both transportation and recreation. If any Marylanders are interesting in attending Bike Maryland’s next meeting, which is open to the public, it’s going to be held at Toole’s HQ in Silver Spring, April 22 and will involve a group ride I believe. If you’re in Silver Spring, I suggest going to Quarry House for an amazing burger and beer! It'll be a busy couple of weeks at VO. Scott is off to man the VO exhibit at Frostbike, a trade show for shops held in sunny Minneapolis. This is a great little show and if you own or work at a bike shop I recommend attending. 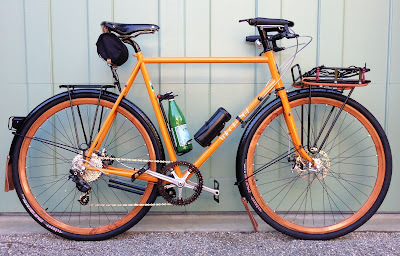 Igor is headed to Sacramento to exhibit at the North American Handmade Bicycle Show, where he'll be joined by John and Kate of Grand Cruz fame. Clint and I are leaving for Taiwan where we'll attend, but not exhibit at, the Taipei International Cycle Show, one of the big-three international cycling trade shows. We'll have meetings with several of the factories that make VO products, and we'll be looking for new products, technologies, and trends. The following week we'll head down to Taichung and visit four factories to chat about new racks, frames, fenders, and other cool stuff. In between we'll be sampling lots of the street food at the famous Taipei night markets and fantastic Taiwanese eateries. I'll head home while Clint continues on to Tokyo to visit some VO dealers and ride his fixie around that amazing city. Since we'll be at all these shows and meeting with so many suppliers and factories, I thought I'd ask what new products would you like us to find or make. Please e-mail suggestions to ideas@velo-orange.com; I promise to read every one. Not much to write about today, so I thought I'd share this photo my friend Eric sent. This is his new Pass Hunter Disc. Eric is a designer, among other things, and he loves doing creative builds. Note the wood-grain rims and black powder-coated VO racks. He still needs to fit the chainguard. If you're ever in San Luis Obispo watch for this cool bike. I'm looking forward to riding it next time I visit. 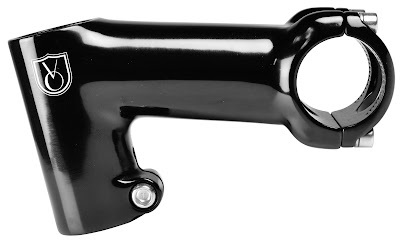 The purpose of a stem is to connect the handlebar to your fork's steerer. This can be accomplished by using either a quill or threadless type stem. A quill type stem uses an internal expander to wedge the quill into the steerer. This is most common on bikes which use a 1" threaded steerer, like our Campeur, as well as most older bikes. All of our quill stems are designed for 22.2mm sizing, but they can be modified to fit the French 22.0mm size. Quills are easy to adjust vertically by loosening the bolt on top. Changing handlebars is more of a pain because the faceplate is most commonly fixed, but once your cockpit is tested and set up, there isn't much reason to change your stem. In addition, traveling with a quill style is easier due to the two-bolt removal and install procedure (one quill and one faceplate). A threadless or not-anymore-so-commonly-referred-to "aheadset" type stem uses a clamp on both ends. One end clamps around the smooth, threadless steerer and the other end clamps around the handlebar. This makes handlebar and stem changes extremely easy due to the removable faceplate inherent in threadless stems. In addition, this style of stem is typically stiffer than their quill counterparts due to the wider cross-section, so this style is more popular with speedy bikes (Pass Hunter) and bikes meant to take beatings (Piolet). Our threadless stems come in a variety of sizes and rises, all based around the 1 1/8" steerer size. Traveling with this stem is a bit more involved as you need to take care not to lose spacers as well as the 7 screws (4 faceplate, 2 steerer clamp, 1 top cap) which hold your cockpit together. All of our stems measure the same way, center to center - center of clamp/quill to center of handlebar clamp along the rise or drop angle. The stem pictured above is 90mm. 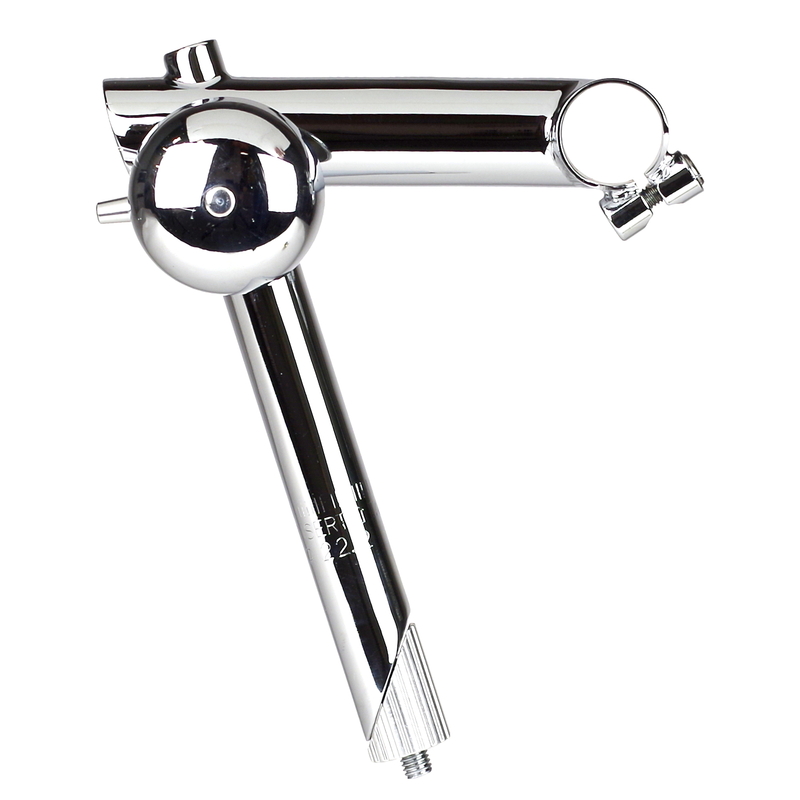 The VO quill stem gives a more upright position, perfect for tourists or those who just want a more heads-up position. The Grand Cru Quill is a -17 degree position. Most traditional headtube angles hover around 73 degrees (give or take a degree or half), so when the stem is installed, the classic number 7 look is achieved. For the best of both worlds, we also offer a quill threadless adaptor. This allows you to use a threadless stem for the convenience of a quill's quick adjustability and a threadless stem's easy handlebar and stem switches. Simply install the threadless stem on the adapter and proceed just as you were installing a quill stem. The Tall-Stack Stem uses the -17 degree position to take up spacers as well as provide the number 7 look we know and love. 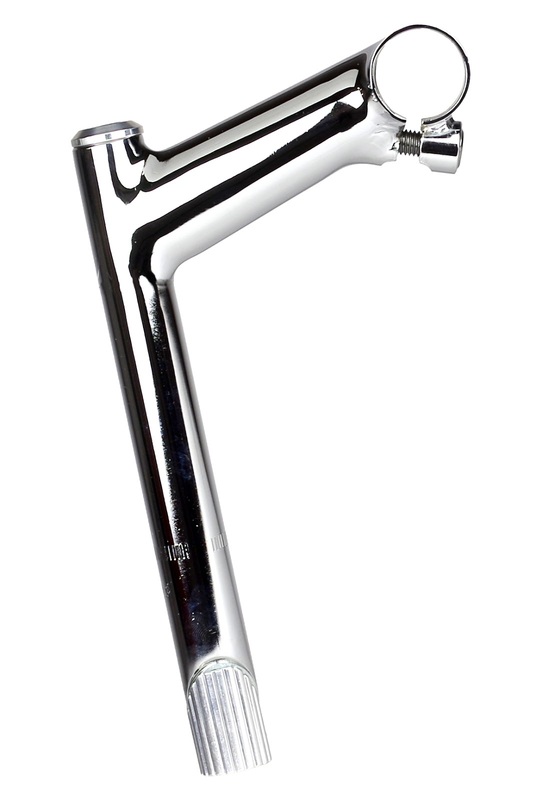 This stem is available in only 31.8, but we offer reducing shims for 25.4 and 26.0 handlebar clamps. This stem is not compatible with the quill threadless adaptor since the steerer clamp is longer than the adaptor's. Ok, so now that we have the technicals out of the way, the following is not a representation of VO or what any subsidiaries believe, and it is only the written and verbally expressed views of the author: quill stems are better and slamming your stem for the sake of looks is ridiculous. Having ridden both extensively, quills are more comfortable and look nicer. They flex a bit over rough terrain, giving you an all-around smoother ride without sacrificing performance. Also, their slimmer profiles visually blend more nicely into the bike, giving a better, complete package aesthetic. Slammed stems, ugh. If you have a steel, threadless steerer, raise your stem as high as you want. It's better to ride your bike and be comfortable than not ride your bike because you lean too far over. Break out from the conformity of wanna-be pelaton'ers and internet "experts". Embrace your comfort and reject those who bring you down. Ultra Romance, a gentleman and a scholar. With valentines day around the corner, Benedict aka Ultra Romance has been wooing our Piolet frame whilst traveling across the desert. Check out his review on Instagram! When we first brought in Rustines back in June, we had hoped that it would prove popular with our customers. After all, French made patch kits, Mafac and Campy brake hoods done in the traditional colors and some awesome bungee's were all things that we like when we first saw samples. Well, since that initial order, we have been overwhelmed by the response of folks to the products. Our latest restock is a bit later then we had hoped, owing to the holiday break and Snowzilla, but we are back to having everything in stock. In particular interest to folks, the Campy Gum hoods are back in stock. So, we have the constructeur rack bungee's back in stock in colors. We have the bar plugs back in gum as well as the other colors. And the caps do look stylish. The individual glue tube are back in stock now. While supplies last, we do have counter displays for shops.If they order 10 of the expedition patch kits, we'll ship the counter display along with the order.